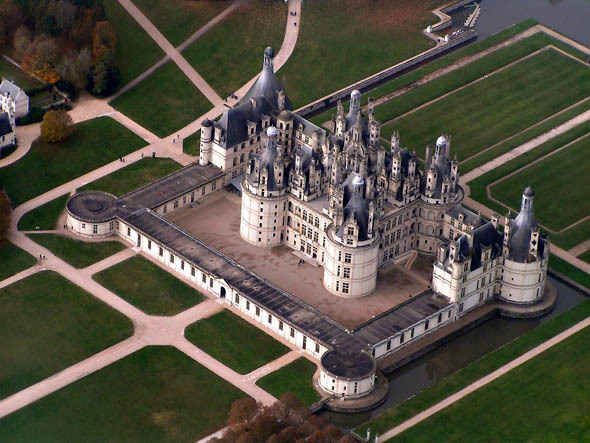 The royal Château de Chambord is the largest castle in the Loire Valley, but was built to serve only as a hunting lodge for King François I, who maintained his royal residences at Château de Blois and at Château d’Amboise. The original design of the Château de Chambord is attributed to Domenico da Cortona. 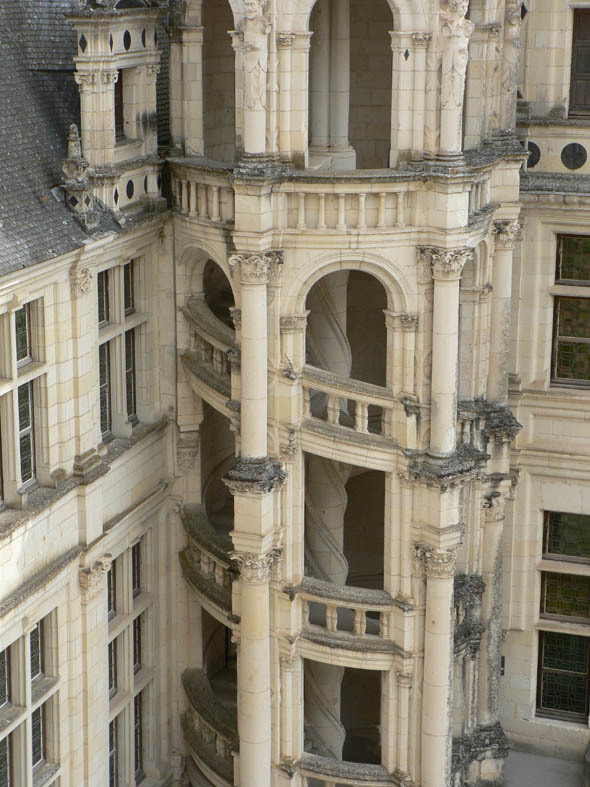 Chambord was altered considerably during the twenty years of its construction (1519 – 1547), during which it was overseen on-site by Pierre Nepveu. It has been suggested that Leonardo da Vinci, a guest of King François at Clos Lucé near Amboise, was responsible for the original design, which reflects Leonardo’s plans for a château at Romorantin for the King’s mother, and his interests in central planning and double helical staircases. One of the architectural highlights is the spectacular double-helix open staircase that is the centrepiece of the castle. The two helixes ascend the three floors without ever meeting, illuminated from above by a sort of light house at the highest point of the castle.